Washington, DC – In response to tragic examples of the harmful psychological abuse inflicted on young people through dangerous sexual orientation conversion practices, also known as reparative therapy to convert or “repair” an individual’s sexual orientation, Congresswoman Jackie Speier (D-San Francisco/San Mateo) will introduce the Stop Harming Our Kids (SHOK) resolution on Wednesday, November 28. At a 10:00 a.m. press conference, she will discuss the resolution and her efforts to investigate whether taxpayer funds have been used to reimburse therapists for this discredited and ineffective practice through the federal Medicaid or TRICARE healthcare programs. 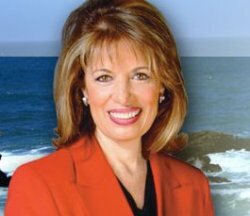 Congresswoman Speier will be joined at the press conference by advocacy leaders and survivors of psychological abuse from sexual orientation change practices.